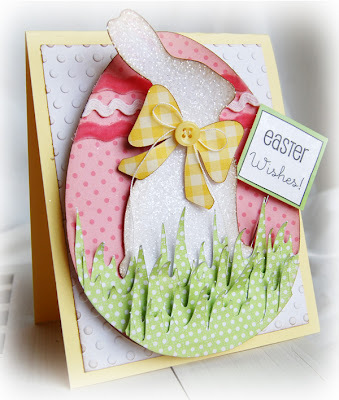 I am a huge fan of Michele Kovack and her amazing blog, Thoughts of a Cardmaking Scrapbooker and just had to share some of her amazing Easter cards made with the Cricut. I love this beautiful card. Michele used Teresa Collins’s Easter images with her Cricut to create this adorable card. I love how she curled the grass. If you are looking for ideas on how to use your scraps with your Cameo, look no further. 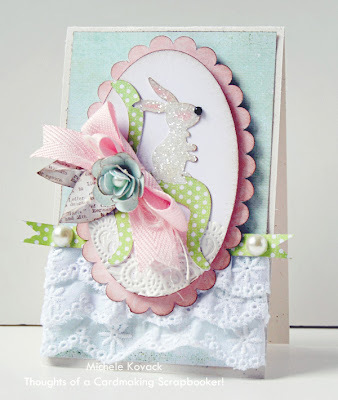 I love this tutorial posted on the Silhouette blog and so will you!! I mentioned How About Orange last week, but just have to mention this amazing blog again. Click here to download Manlike font for free. It is a perfect font for a man! And click here to download 4 fonts that look like stitching. Home Sweet Home is my favorite! Speaking of freebies, check out the Graphics Fairy for stunning vintage images that you can download for free. My sister loves this site and I do too! Be sure to click on the vintage images tab to see all of Karen’s designs. She is so generous to share all her images! If you love making albums you will want to check out the Creative Café blog. Susie is mega talented and her tutorials are great! Thanks for the links. I am off to check them out now! LOVE the three blogs you featured today ~ I subscribed to all three of them. Can't wait to watch Susie's tutorials! Fabulous Features! !Thanks for the links! Oh my goodness! I was so surprised to see my cards here! Thank you for posting them and all of your kind words! Have a great weekend!!! HUGS!